This is the updated version with a couple small changes so please read carefully if you are unfamiliar with the process. You're probably wondering what is going on here as you saw the title, "Hot Wheel Exchange" and thought to yourself…"what's that!?" The exchange is exactly how it sounds, a car for a car! Two cars for two cars! 30 CARS FOR 30 CARS….you get the idea. This idea is very simple and just for fun! Like many of you, I have a lot of Hot Wheels and sometimes find myself with doubles, cars I just don't care for anymore, or even just run out of room. I would rather see my extra car go to a person who wants it than to let it sit in a case. The idea is to trade your unwanted car for one that you do want for free...kind of. Both parties are paying to ship their own car/s so it only costs a few dollars. "Gee, I ONLY have 6000 cars at the moment and definitely don't need any more" - YOU ARE WRONG….MOOAARRR!! "What kind of cars can we trade?" 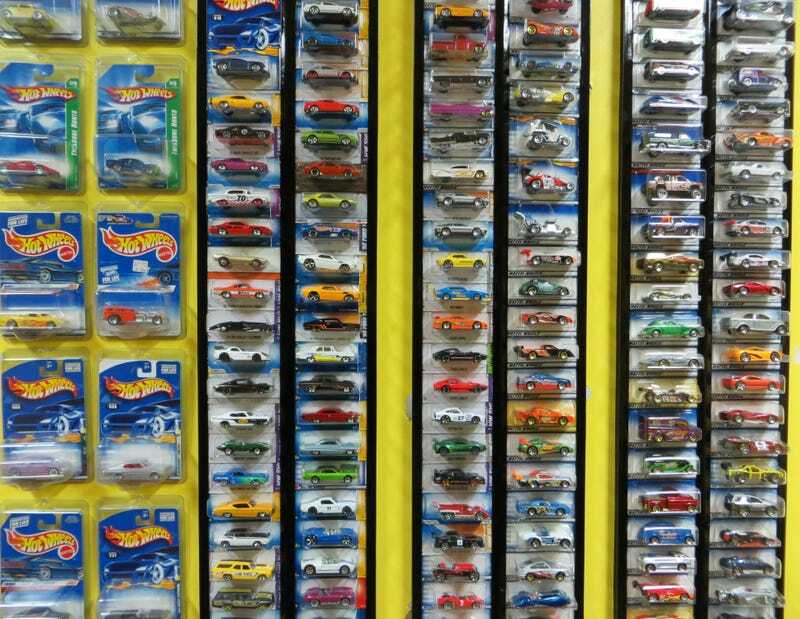 – Hot Wheels, Matchbox, Johnny Lightning, 1/18th, ect. Good cars, no junk! Cars in cases or lose are equally fine. It is up to you to determine what is fair. "..But $4 is more than a new Hot Wheel?!" - Yes but this is for fun and try to get some really cool cars from some really cool people and have some really cool stories. "How does this work?" – This works based on trust first and foremost! A person will post a car up for grabs and somebody else will make a trade offer with a picture. A trade is agreed upon and each party pays to ship their own car to the recipient based upon a GENTLEMANS AGREEMENT. "What is a GENTLEMANS AGREEMENT?" - This is your word, your bond, your handshake, your character. If you don't have or keep any of these than you should avoid this thread. This is trust that you will actually send the trade agreed. If you break this trust you will be subject to Oppositelock ridicule! -Sampson takes a good picture of a car he wants to trade and posts it up for grabs with a good description on a new post. -Sampson accepts the trade offer and posts a way for Jimmy to contact him either by text, email, smoke signals, or however he feels sufficient. -Jimmy then confirms the contact method by simply posting after Sampson and contacts him by desired method. -Sampson deletes/dismisses his previous post with personal info and awaits Jimmy to contact him. -Sampson and Jimmy then each go and buy eye drops from making lots of smoke signals. -Both Jimmy and Sampson ship their cars. -Upon delivery both Sampson and Jimmy restrain attacking the UPS guy and then violently tear open packages and make car noises while admiring their new rides!! The important things are to be honest and clear upfront about what you have to trade. Remember, a picture is worth a thousand words. You also want to make sure you dismiss your contact information as soon as you can to avoid spammers and stuff. Since we are unable to personal message each other this example method is the best we have. Finally, unlike the original H.W.E. rules, post up a new thread when you have a trade up for grabs. Just make sure it is clearly marked as Hot Wheels Exchange so people know to click it. This also makes it easier to search via tags and specific words. In closing, we think this is a cool idea to just have fun with. Be honest, be fair, and trade cool cars! This is a family on here so let's keep it that way! Special thanks to EL-ULY and SN210 for help getting this started! Mods: If you have any comments/concerns/questions please let me know so I don't accidentally cause any trouble.